Aluminium sheet is available in three common sizes; 2m x 1m, 2.5m x 1.25m & 3m x 1.5m, however it can be sheared and folded to specific sizes upon request. It comes in a range of grades, thicknesses and finishes. For prices, sizes and other options available, give us a call or fill in a request a quote form. Aluminium sheets have a wide range of applications including repairs and reinforcements to structures, the creation of several specific objects such as tools and the creation of thin sections. Aluminium sheets are light and durable whilst also resisting corrosion making them the perfect solution for replacement of other materials that are suffering from rust due to exposure to the elements. 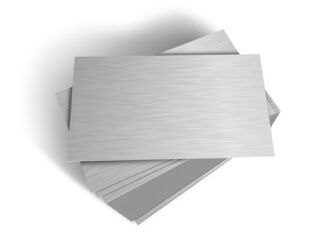 Due to the fact of the lightness of the material, these aluminium sheets are perfect for use in multiple construction scenarios and are a must have for many construction projects.